In my last LEGO Finds post, I mentioned that I had gotten a hold of a quantity of Nanoblock (for free). I have always been curious about some of the clones but I'm not really willing to pay even $5 for a set on clearance. Since fate brought some to me, I thought it might be fun to have an occasional post on these clones and see how they match up. Creations by 7yo, 6yo, and 3yo plus my Nanofig and 2 plates. 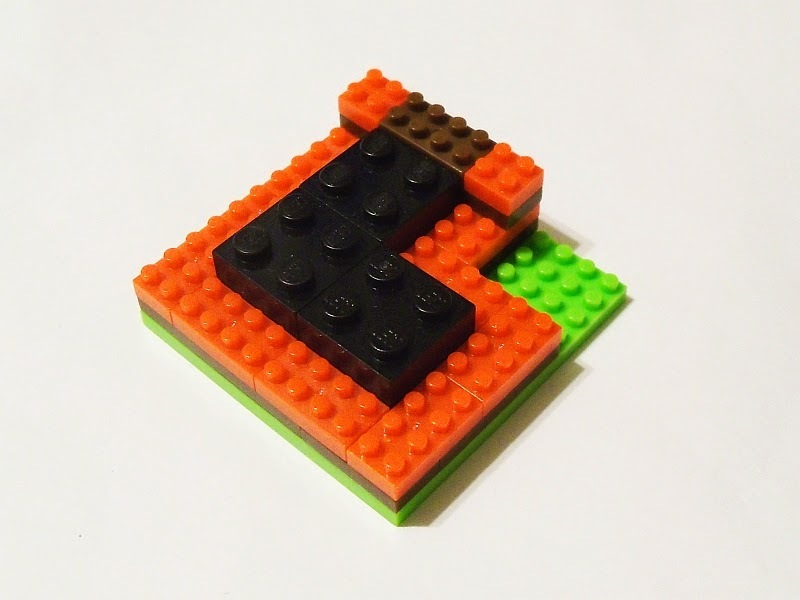 Nanoblocks are touted to be some of the smallest building blocks, even smaller than Modulex or MegaBlocks Nano. Nanoblocks do appear to be scaled to match LEGO System however. 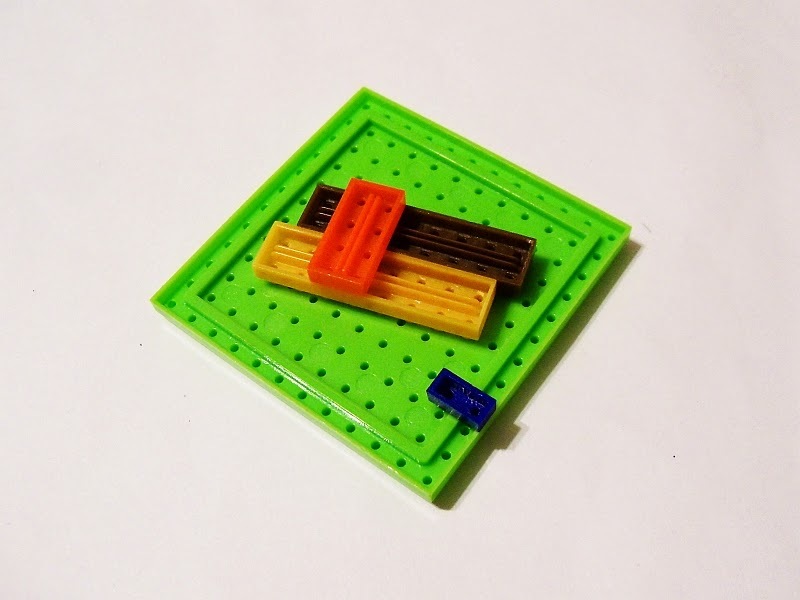 A 2x4 Nanoblock is ~8x16mm and 3.2mm tall. For those that know their dimensions, 3.2 mm should seem awfully familiar. That is the height of a LEGO plate. So a 2x4 Nanoblock is the same size as a 1x2 LEGO plate. The studs, however, are different. LEGO studs are 4.8mm in diameter and about 1.7mm tall. 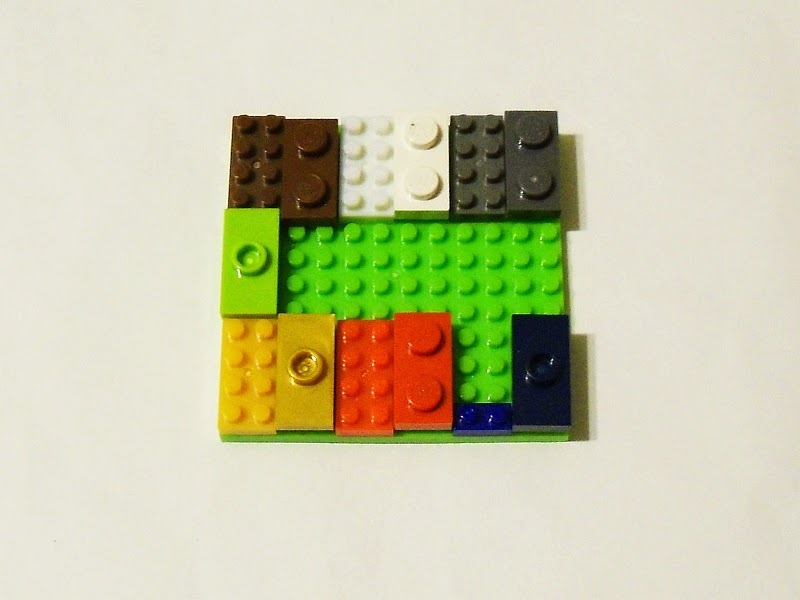 Since Nanoblocks are a smaller scale, there are 4 studs for every LEGO stud. The studs are about 2mm in diameter and 2mm tall. This would make the sidewalls 1mm in thickness. The underside of the bricks are different too. 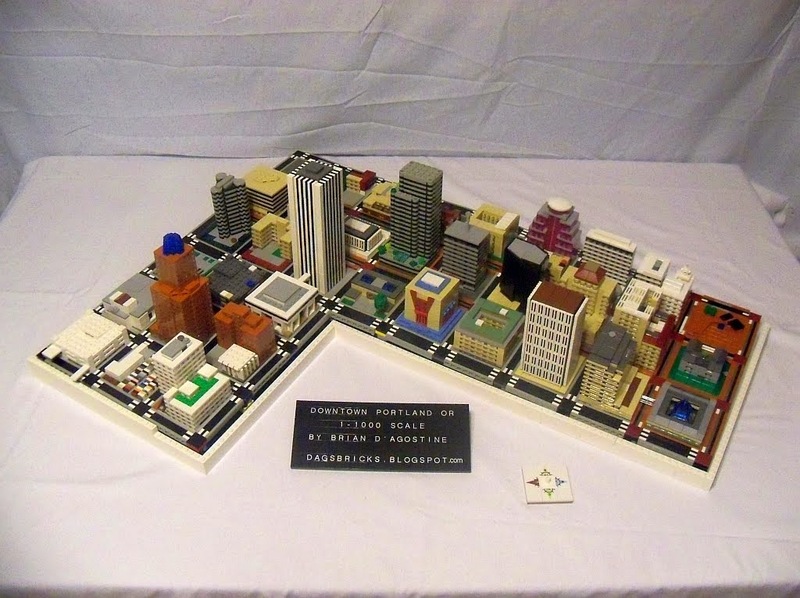 LEGO has it's patented, trademarked, copyrighted tube system under a 2x brick or plate. Nano has avoided a potential lawsuit by using a continuous track instead. What this means is that there is an apparently infinite number* of positions that a piece can connect to the underside of a 2x Nano piece. This is good for offsetting, something that is not common in the Nano canon. Though there was one jumper type piece in what I found. There are apparently round 1x1 pieces as well. As for clutch power, it's either good or it isn't. When straight stacking pieces together, they have a VERY tight clutch, so much so that my children need me to disconnect the pieces. But when connecting across each other, the pieces are overly loose. This tells me that there is little to no tolerance between the studs and sidewalls, but too much tolerance on either side of the bottom track. Likely, the bottom tracks are too thin to hold their shape and would be better served by little cross fins where the studs would naturally go. In the store models I've seen some warpage, and this not under bright hot lights. 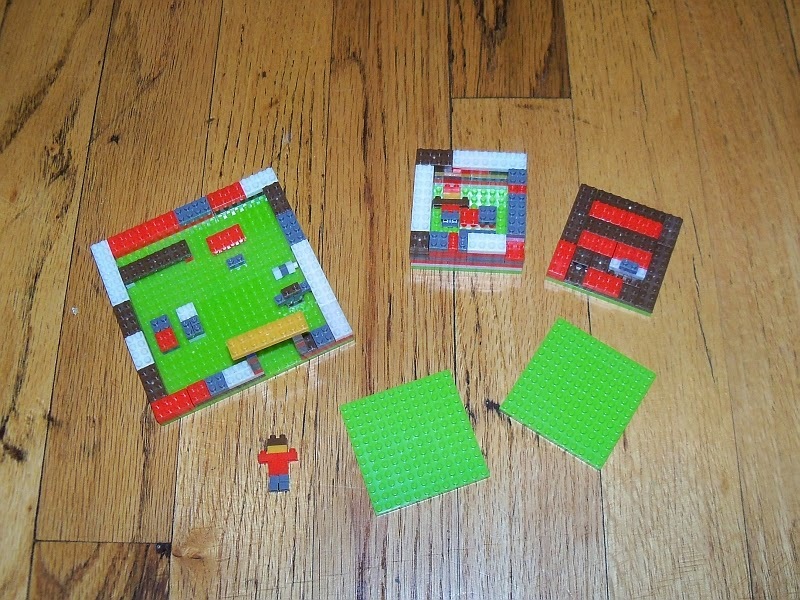 All of the pieces that I got a hold of are sized in a binary fashion, sort of like the original LEGO sets. That is, the pieces are either 1, 2, 4, or 8 studs per each side. My grab has 1x1, 1x2, 1x4, 2x2, 2x4, and 2x8. The baseplates are sort of like the 10x20 LEGO bricks. They are built mostly like the rest of the pieces but only with connection points under the outer two rows of studs. The baseplate sizes are slightly odd at 12x12 and 22x22. Maybe they decided 8x8 was too small and 24x24x was too big? The colors of the pieces are very close to LEGO colors. Where Megablocks is known to be different, these are pretty spot on. I immediately thought of Red, Lime, (Old) Brown, White, Dark Bley, and Light Pearl Gold. The white pieces are a touch milky. There is a blue piece that is something like Bright Dark Blue. According to the interwebs there is also Black, Green, Bright Pink and some sort of Orange. I'm certainly not going to be incorporating these into my builds. I'm sure you could find some decent connections between Nanoblock and LEGO if you tried but I'm not really going to bother. If I want to have mini blocks for minifigs, I'll just give them a handful of Modulex. *There was a small discussion on the Bricklink forum regarding infinite. To summarize, the amount of positions that a single stud can slide along the bottom of a Nano 2x4 is limited to 12mm divided by the Planck Length. To wit, there are only 7x10e33 positions possible. I stand corrected, this is nowhere near infinite.